Recently, I visited Korea for my little sister’s wedding ceremony. She had a modern wedding. This made me think it would be a good idea to explain about more traditional Korean wedding culture. 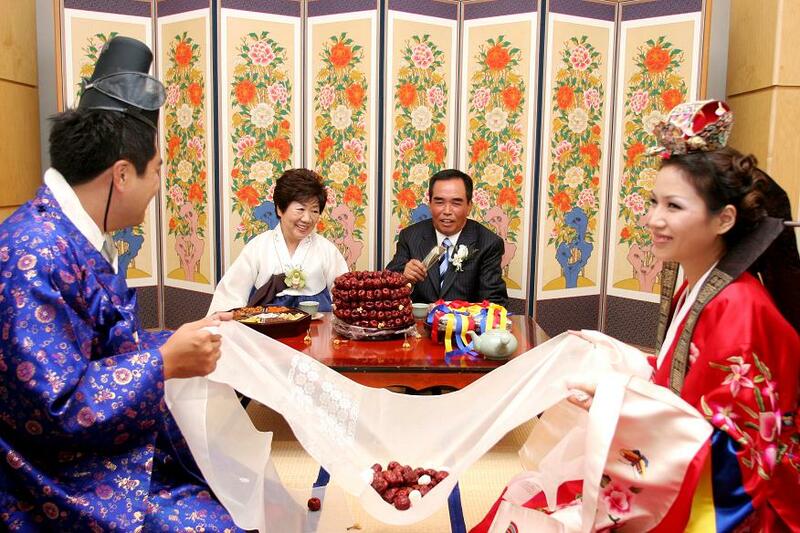 Traditionally, a Korean wedding ceremony is held in the Bride’s home. The Groom would take a pony to her house. After the ceremony, he stayed inside the Bride’s home for three days. Then, the Bride & Groom return to live at the Groom’s home. The Groom’s family give a wedding gift called “ham” (not food) to the Bride. It is usually Jewelry, red & blue silk cloth to make a wedding dress & a letter from the Groom’s Father to say thank you to the Bride’s family. They also give a pocket of grains to stop evil spirits from harming the new couple. Generally, this gift is carried to the Bride’s home on the eve of the wedding. 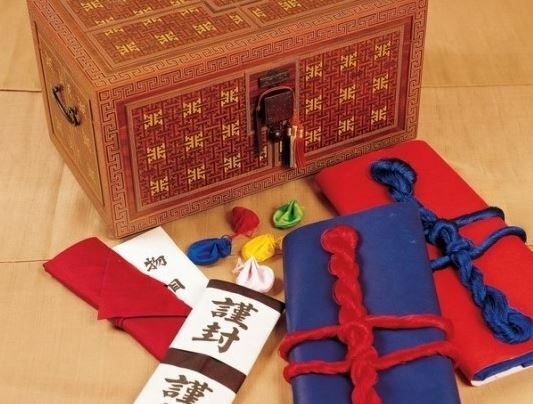 A man named “Ham Jin a Bi” carries this gift. 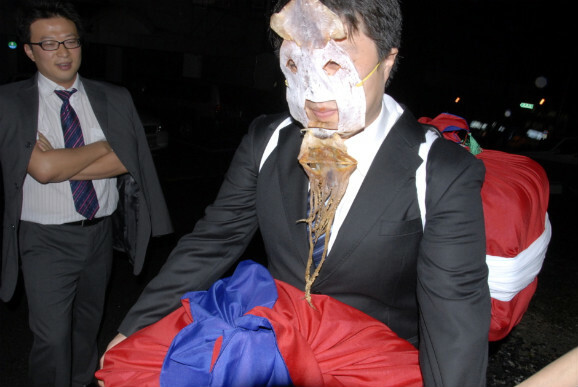 He wears charcoal or a dried squid mask to avoid evil spirits on his journey. 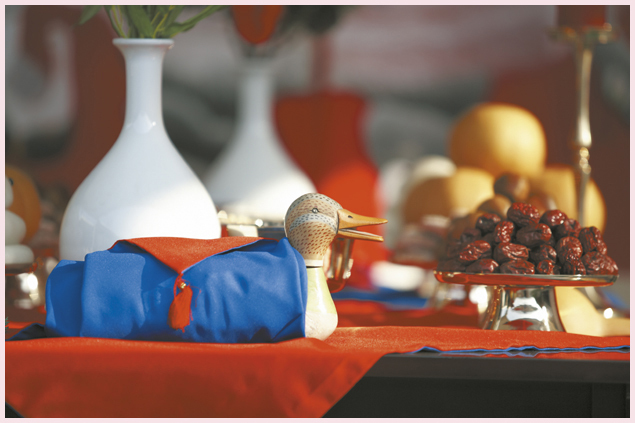 During the ceremony, the Groom gives a pair of Wild Geese carved from wood to his new Mother-in-law. This is symbolic of loyalty, because Wild Geese only stay with one partner during their lifetime, even if the partner dies. The Bride & Groom share a drink together. Some religions share the drink one cup, and others drink from a pear-shaped Korean plant called “Pyeo Ju Bag”. After the Wedding Ceremony, the newly Married couple say hello to the Groom’s parents. The Bride prepares some food, then the Bride’s parents throw the newlyweds some dates & chestnuts. This means they hope they couple may have many children and become wealthy.